All Deer Meadows homes currently listed for sale in Canyon Lake as of 04/20/2019 are shown below. You can change the search criteria at any time by pressing the 'Change Search' button below. "This home can be utilized as a 4 bedroom or 3 bedroom with study. 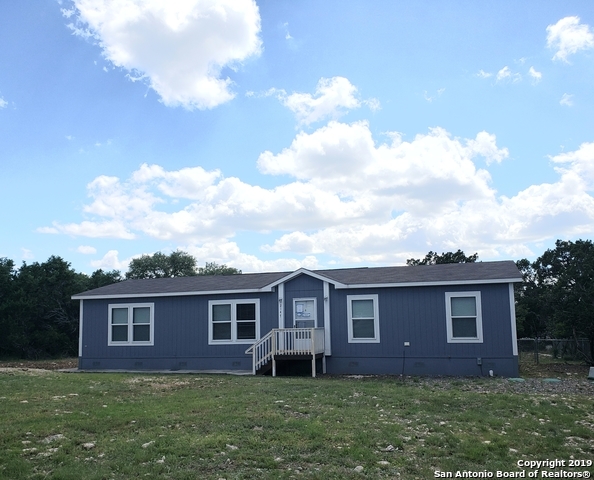 It's located at the end of the road and has a great hill country view overlooking a large acreage tract. The home has high ceilings in common areas & tile throughout!" "Magnificent home, even better price. All sorts of financing available on this 3 year old almost new home. Does come with engineered foundation, Great neighborhood amenities in a fabulous getaway from it all place. Sit out on the porch in this peaceful location with nice new chain linked fenced backyard. You wont be disappointing in looking at this home."